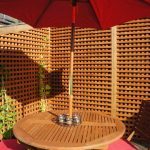 A friend of mine came to me with specific requirements for us to manufacture him some bespoke Trellis panels with small spacings that he wanted to use to provide an attractive screen to the rear of his garden. Originally there stood a brick outbuilding/ coal store that he had previously removed leaving exposed brick walls of the outbuildings to the rear and both sides which remained in place. Initially he had painted the walls but wasn’t happy with how it looked, he then rendered them, but again this didn’t give him a finished appearance that he was happy with. A few weeks ago he contacted me and asked if we could make him some Trellis panels to fit into a frame that he was attaching to the wall. Being a joiner he quickly knocked up a frame using 3” x 3” planed all round timber that he then treated with a spirit based preservative and attached it to the rear and side walls. He then provided us with the exact sizes he required for three tall panels to fit against the rear walls along with two further panels with sloping tops that would be used to fit inside the frame against the side walls. As the panels were all being fitted inside the framework the dimensions were critical so after careful consideration we allowed a 5mm tolerance on each measurement and manufactured the trellis panels as required. Another decision that had to be made was whether there panels were to be dipped in our standard autumn brown preservative dip or left in their natural tanalised finish. He initially went for the tanalised option deciding he would treat them the same colour as the framework he had already fitted but before we delivered them he changed his mind and asked if they could be dip treated prior to delivery. We duly obliged and dropped the panels off with him dip treated in our Autumn Brown Preservative along with a small bottle of our preservative dip so that he could re-treat the framework the same colour. These were fitted within the framework and secured and he then set about fitting an area of decking to finish the project. A few weekends later and the project was finished, just in time to sit out and enjoy the recent weekends sunshine with a nice cold beer and a couple of steaks on the barbeque for him and his wife. The pictures to the right show the results and although we don’t have any pictures taken before the project the transformation is incredible and both he and his wife are delighted with the finished look. The original bland, unsightly walled surface has now been replaced with a little garden oasis that I’m sure will be well used when the sun shines. 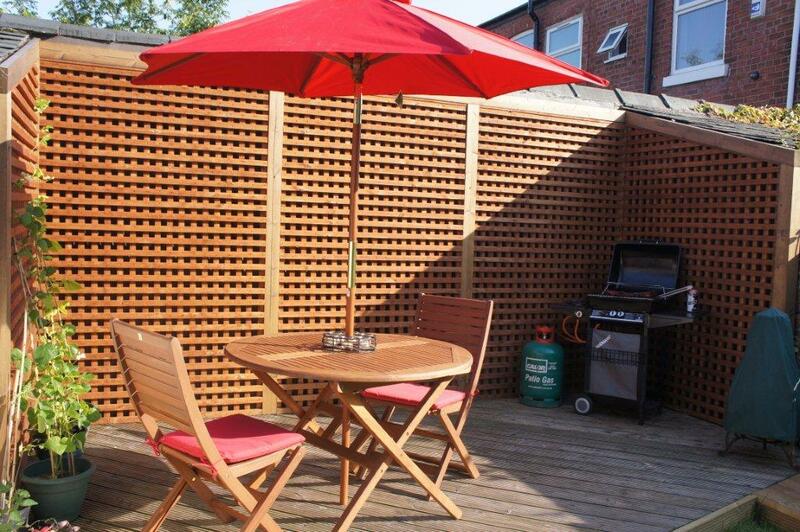 Don’t be fooled into thinking that any fence panel can only be used in its traditional post and panel configuration. 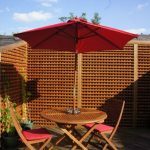 Trellis especially has a multitude of uses and the variation with small spacings provides an ideal way of screening a wall. 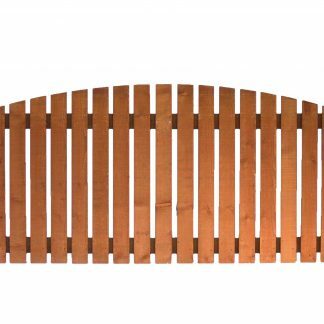 We have also recently supplied panels of this type that were to be fitted between the balustrades of a decking installation beneath the handrail. With a little imagination anything is possible! Got a project that you would like to share with us? We would love to receive your pictures and a small write up about what you have achieved. 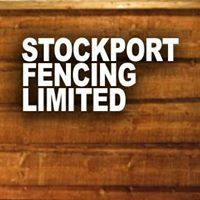 Send the details to us at info@stockportfencing.co.uk and showcase your DIY talents for the world to see. We all know that the Great British Summertime is a very unpredictable beast. The hot weather can appear at any given time, without warning, and last for anything between 5 minutes and 5 weeks. Although the latter may be a little optimistic! Your garden is the last thing on your mind when the rain is falling, we understand this. But why not make the most of the next sunny period by getting your tired fencing replaced now rather than thinking about it when the sun begins to shine? It’s amazing what a difference can be made by simply replacing your old, dilapidated fence panels with any of the top quality products from our large range of Garden Fence Panels, Designer Fence Panels or Picket Fencing. Doing this now means your garden will be looking its best for you to enjoy without having to worry about missing the next window of opportunity for those evening or weekend barbeque frenzy’s or simply spending a little bit of time relaxing in your tranquil garden environment. We can simply deliver your panels or send one of our experienced fencing fitting teams to fit the panels on your behalf. Don’t forget we also carry out fitting jobs that will include new posts etc. so if you’re looking for complete replacement of your existing fencing we can do that for you too. Our fitters don’t mind a bit of rain either so don’t put it off until the sun shines, you may regret not having the work done when the next sunny spell passes you by. Can I Increase the Height of my Existing Fencing Without Changing The Posts? It’s an age old problem that often arises when moving into a new property or sometimes when new neighbours are moving in next door to you. Often people are just looking to increase the height of their existing fencing due to security concerns or are simply looking to add trellis to the top of existing panels to allow climbing plants to grow into the fence, but what can be done to increase the height of the existing fencing without having to change the posts? Well, take heart in the fact that there are a number of options available to you even if you have concrete slotted posts. For ease of understanding we will have to split the explanations according to what you are looking to achieve. If you simply want to increase the height of your garden panel fencing you can go about it in one of two ways. The first of which would be to remove the existing timber panels and slot a Concrete Base Panel in between the posts before slotting the panel that you had previously removed back in on top. Concrete Base Panels are very heavy however and it is often difficult to lift them up over the top of the posts to slot them into the recesses on the posts. You may wish to use Litecrete Base Panels in this instance as these are approximately half the weight of standard Concrete Panels and will make the job considerably easier. The second method here can be achieved again by removing the existing panels but this time slotting in new panels that are taller than the ones you have removed. When increasing the height in either of the ways outlined above you will be left with a gap in between the tops of the panels where they protrude above the posts. In order to fill this gap you will need to use timber infills that simply fit between the panels, closing the gap between the protruding panels. These can be topped with timber post caps and finials if required. This is slightly trickier to achieve than you would first imagine unless your posts have been fitted considerably higher than the tops of your panels. It is not advisable to just screw the Trellis to the tops of the existing panels without any part of it being supported in the slots of the posts as they will quickly fall over, ruining the tops of your panels as they do. The solution to this problem is achieved by buying new panels with an inbuilt Trellis that can be slotted in to replace the existing panels. This is easily achievable when using Waneylap or Overlap Fence Panels as the rear vertical supports are extended above the top of the panel and form the framing and support of the Trellis. 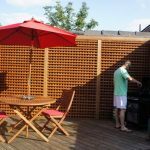 It is also possible to achieve using Closeboard Fence Panels (when made with side frames). Please call to discuss your requirements in either of these instances. If your existing panels are in good condition and you don’t want to replace them there is another method that will allow Trellis to be fitted above. This method would involve attaching timber battens to the rear of your posts so they finish above the post at the height that you would like your trellis to finish at. Trellis can then be screwed to the front of these battens above your existing fencing. The trellis will be slightly offset towards the rear of the post using this method which can be alleviated (if required) by fastening plant on battens to the front of the timber uprights you have previously attached to the top of your posts then fitting your Trellis between these directly above the existing panels. 3.) Extending Existing Timber Posts (Square Section). This a fairly simple task as all that is needed is a Timber Post Extender and a short length of timber post of the same section to fit above. 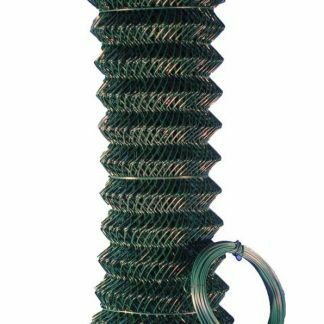 The Timber Post Extender is a sleeve that fits round the top of the existing Timber Post, allowing a new section of post to be fitted into the top of the extender which holds it securely in place. Once the new section of post is fitted you can screw your Trellis into the new section of post fitted in the extender. If you are looking to increase the height of your fencing with a solid panel that will replace the existing panel when on timber posts you would again follow the steps above to increase the height of the post, but before fitting a new panel you would first have to remove the existing Timber Panel. If the panel has been fitted using Met Clips or screwed directly into the posts it is simple enough to remove with a screwdriver. If the panels have been nailed directly into the sides of the posts a handy tip is to use a Hacksaw Blade (detached from its handle) to cut through the nails into the post. Start by sliding the blade down between the top of the post and panel until you get to the point where the first nail is situated, grip the blade at each end and carefully saw through the nail. Repeat this for each and every nail securing the panels but make sure you wear a decent set of gloves to stop you from cutting your hands, standard gardening gauntlets provide ideal protection. Each of the above methods generally relate to panel fencing rather than ‘in situ’ fencing whereby the boards are nailed onto horizontal rails that have been secured to either concrete or timber posts. This type of fencing can be made higher by removing the existing boards and nailing longer ones on in their place. Remember though that the boards will be unsupported at the top when doing this and may be snapped if somebody tries to climb over. You may choose to fix the new boards to the rear of the existing rails, leaving the existing boards on the front in place but remember that the increased weight will be adding additional stresses to your posts so make sure these are in good condition before doing this. As mentioned above it is important to remember that increasing the height of your fencing panels will increase the wind load on your fence and as such you need to be certain the posts will be able to withstand the increased stresses. 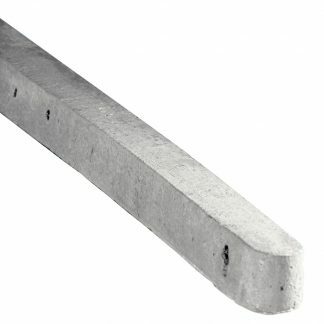 Timber Infills and Post Extenders will not improve the structural integrity of your posts and drilling battens onto concrete posts will weaken them slightly. 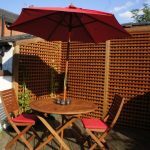 I hope this article helps in some way and will allow some of you to competently tackle the problem of increasing the height of your existing fencing. If you are not sure that you have the DIY capabilities to carry any of the above out always remember that there are professionals that will undertake work of this nature on your behalf. If you live around South Manchester or Cheshire then our highly skilled teams of fitters will be happy to carry out this type of work, please call 0161 477 0010 to book an estimate or discuss your requirements. If you live outside our area then contact your local fencing company who I’m sure should be able to do the work for you. “Please note Our garden fences are pre-treated with a water based timber treatment for protection during transit. In order to receive the full 10 year anti-rot guarantee, it is necessary that you treat the garden fence with a high quality, spirit-based, timber preservative prior to or shortly after construction. This will protect the timber from weathering and will need to be repeated accordingly in relation to manufacturer’s instructions. See Terms and Conditions for further information. The fencing arrives in a fixed unit for easy installation”. So basically they will offer a 10 year anti rot guarantee on their fencing panels if you treat them either prior to or immediately after installation and then each year thereafter with a good quality preservative. Fantastic! So is it possible to offer a guarantee that doesn’t involve numerous hours preserving panels and the cost of purchasing good quality spirit based preservative? The short answer to this question is no. Timber is a naturally occurring product displaying many natural characteristics that occur in the tree that it is taken from, even the best quality timber is affected in the same way. Let’s examine a few of the commonly occurring characteristics that will not be covered under guarantee. 1.) Knots – All softwood has these and they are largely due to infant branches being engulfed by the growing tree. Knots are a natural feature of timber and in many cases, enhance the appearance of the wood, however they can have a negative effect on the strength. 2.) Shakes – Shakes occur during the natural seasoning of timber as the timber moisture content dries out causing shrinkage, this will often lead to distortion also. Rot – This is a slightly more contentious issue as there are so many factors that could cause the onset of rot. The first of these is obviously the quality of the timber and the treatment it has received prior to manufacture. Tanalising has been the standard treatment for external timber for a number of years now and up until a few years ago manufacturers had the confidence to guarantee that this would give the timber a 15 year life expectancy, without further treatment. However, since the health and safety executive decided that a timber treatment containing arsenic wasn’t the best idea the treatment companies have been working hard to come up with an alternative. As of yet this has not reached the level of effectiveness that the previous treatment was consistently reaching which poses a significant problem for the manufacturers using timber products. Good quality dense timber will resist the onset of rot better than poorer quality less dense timber as standard but without an effective treatment and especially in ground contact this will not add a significant amount of time to the product lifespan. Thinking about timber in ground contact, namely timber fence posts we can identify a number of factors that would mean that the same post would last for a different period of time that are largely due to positioning e.g. If a post was fitted in soft, well drained soil it would undoubtedly last longer than the same post fitted in heavy soil that retains water and leaves the base of the post constantly wet. Likewise, if a post carrying fencing panels was fitted in a nice sheltered position it would last longer than the same post and panels fitted in a position that is constantly battered by strong winds. As the post gradually rots underground it will reach a point that any load placed on the post will snap the post at ground level. At this point the post under windy conditions would fail where as the one in sheltered conditions will not have the wind load problem and should remain intact for many more years, until the post has rotten enough to mean that the load from the fencing panels alone will snap the post. Very high gale force winds may snap a timber post in the first weeks after installation, well before any rot in the post has set in. You can see from the brief examples above the problem fencing companies face when offering guarantees on timber products. Some will offer a 10 or 15 year guarantee but I suspect there will be numerous exclusions that will be cited making the guarantee virtually worthless and any of the above reasons could invalidate any claim made. The only timber that would completely free from any of the above problems would be Cedar wood. A softwood that by its nature is free from knots, warping, and rot. 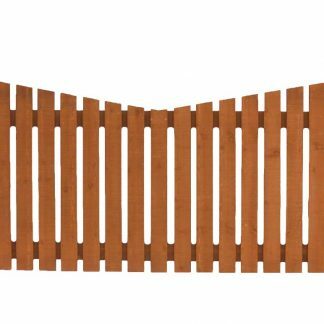 Whilst this type of timber is largely used in entrance gates the cost makes it largely prohibitive in the use for timber fencing products. We attempt to be as honest as possible to customers when identifying the most suitable products to use when planning their fencing. Panels are not a problem as due to the quality grade of timber that we use we would expect any panel to last between 10 – 15 years as standard without any need for further treatment. The main problem arises with the posts and we would always recommend the use of concrete posts and base panels rather than timber wherever possible as it is guaranteed to last much longer. We do understand people’s reluctance to use concrete for aesthetic reasons but strongly advise that they consider the implications of using timber posts before making their decision.